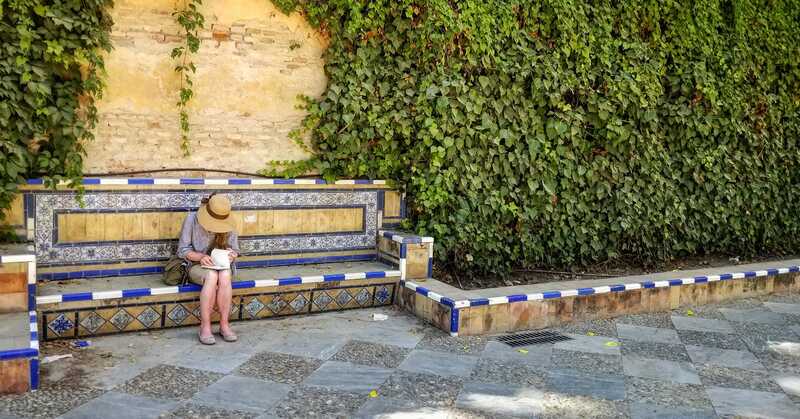 Me in Seville, Spain finding inspiration in my traveling journal. This photo sums up everything, pretty much. I like poetry, I always have. Several of my favorite authors also wrote poetry: Milne, Carroll, Tolkien, Poe for starters. I found them first as authors and later recognized them as poets. Though, Shel Silverstein is STILL one of my all-time favorite poets. Poetry is reflective and tricky, and the best part… it’s short. Poetry is something I’ve always done, but never realized I did, if that makes sense. It’s been a way to express my thoughts and feelings, as I know many of us do. I’ve journaled like this since I was a teen, and oh boy, those early poem??? I’m embarrassed by the drippy/sappy/teenage angst of those early, tender writing. And I thought poems were supposed to rhyme. My English teacher Mrs. Sawaya was the one that taught me more about the feeling of poetry is more important than straining a rhyme and ruining it completely. She said the best poems don’t rhyme. I can’t exactly agree with her, some of the old limericks have amazing composition. But this lesson taught me that a poem is more than just silly rhyming fluff, but can be a heart-driven search for understand using words, flow, and purpose. Through poems, I really found my author voice. It’s taught me how to write and that I have a poetic voice to my writing. In my writing exercises, I use poetry as a tool to stretch my use of language. I like poetic voicing. I like using fresh words and lyrical sentencing. I have tender years of doubt, depression, insecurities, and basic figuring out who I am and what, if anything, I have to say. Poetry was a tool (is a tool) that has helped me overcome several of those hurtles. 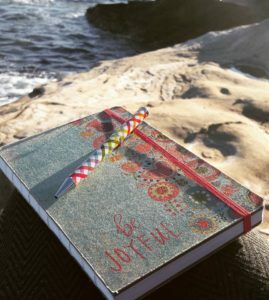 Writing has always been a joy, like the wonderful freedom you feel when writing in the sun on the beach listening to waves and birds and rhythmic chatter. But when I became published the joy changed and become more like writing in a small closet with a sketchy swinging light bulb. This may surprise people, though I’ve talked about it before. Being published is every aspiring writer’s dream (and please don’t lose that dream, aspiring writers), but with it came a different side of publishing that I didn’t understand and had to adjust to. There is a lot of pressure in the authoring world, things that you don’t know until you are in it, and a lot of them aren’t writing related. It’s hard being a face for your books. I have to keep and maintain a respectable media presence, I am public and need to be found EVERYWHERE. I have to sell my own work and convince others that it’s good and they want to buy it, and it’s hard when they don’t, because you KNOW they will love it. You can’t just give away books, you have to sell them. I have to be likable and sought after for cons and panels. And I always need to have my foot forward to what’s next. This to me is not writing, it’s marketing – and I’m not so great at numbers. There is a cusp for readership that when your book reaches it, the perpetual reputation of the book steamrolls into a public consciousness, so an author no longer needs to worry so much about all the things I just mentioned. Just think of your favorite books that made it to you by word-of-mouth or recommended to you on Goodreads. I have yet to steamroll into anyone’s bookshelves, I’m still climbing the monstrous hill before me. It was hard enough sharing with the world writing that was once so private. To make me push it and promote it is like dying inside. Creating is joy, but with that coin flip comes misery. and a good group of author friends that understand the ups and downs of publishing. 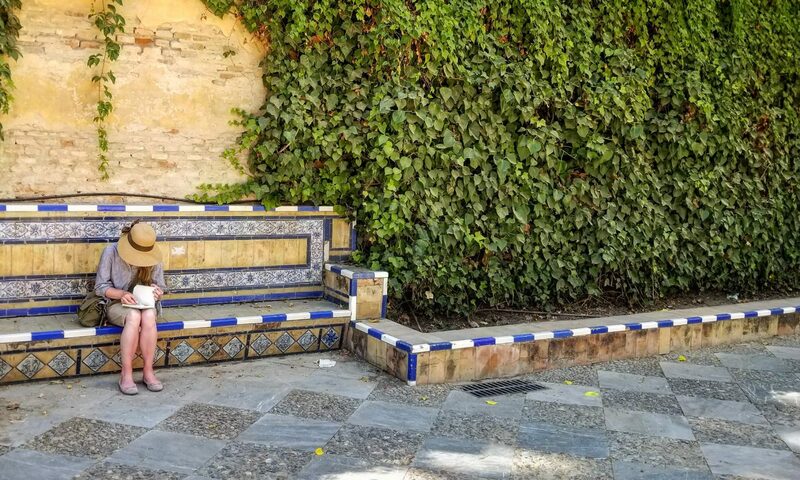 Over the years since I first published, I would write poetry to keep my authentic author voice, keep my creative juices flowing, and help me through the writer’s block and other rough patches. It helped keep my sanity. The various poems have been quietly resting in different notebooks for years. I would revisit it often when I needed it, like a letter from a dear friend. 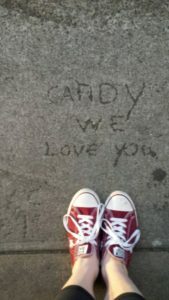 A year ago I shared some of my poems with my sister to help her on a day she was particularly down. She loved them and that was very encouraging. I then shared a poem with a writing group asking for critique. I called it Flash Fiction at the time, thinking it wasn’t poetry at all. They were astonished and clearly called it ‘Poetry’ and encouraged me to seek out my poetic voice. 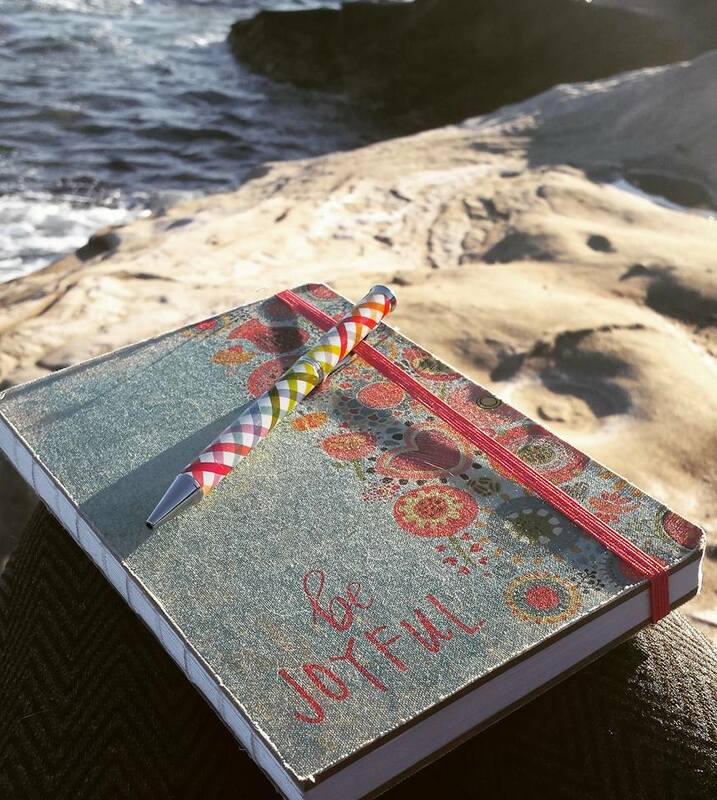 That was when I first started thinking very differently about what I was journaling and embrace that maybe I am a poet too. 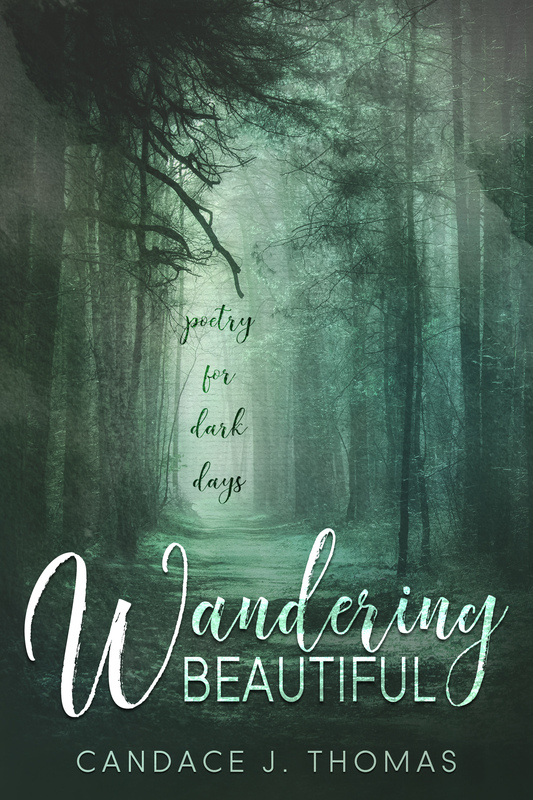 WANDERING BEAUTIFUL is a selection of my poems that have helped me during dark moments. Some are reflective, some are silly, but all of them were inspired by writing in one form or another. Poetry is a tangible horcrux, the slivers of soul lace each stanza. It’s not easy to share, and frankly, I’m still surprised I put this thing together. My thoughts in sharing these poems were that it might help others gently wander the paths before them. I don’t think there is one path, I think there are several. And I don’t think one is better than the other, I just think our paths are different. I’m a cautious, but curious person. I’m exploratory. I like the forgotten paths or more mysterious, and the ones that have stories to tell. I feel the paths I have wandered down have not been easy, but keep leading me to new paths, ones that I didn’t know were there. I have opportunities that others don’t get, because I’ve wandered. That’s what I’d like to share. We have similar feelings and fears. Let me share with you mine, in hopes it will help you with yours. This collection is deeply personal about my talent, self-worth, and frankly, my insecurities. I don’t specifically write romantic poetry, but there are a few that might flutter your heartstrings. Mostly though, it’s about the magic of words and the power we give them. 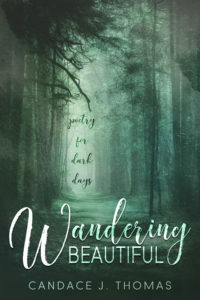 WANDERING BEAUTIFUL will be released September 6th at the FanX Comic Convention. If ebooks are your thing, pre-orders are now being taken here for a release September 30th. Click here. Welcome to the official website for Candace J. Thomas, award-winning author, freelance editor, and wandering pixie.